Coquerel Wine Tasting | BRAVO! We are excited to announce that we will be hosting a tasting with Coquerel Wines from Napa Valley Sunday, April 7th at 4 PM! All of Coquerel’s bottlings are handmade in small lots to ensure character and authenticity. The unique conditions and favorable terroir of their vineyard, along with the passionate care of their winemaker, produces exceptional fruit each vintage yielding wines that are known for their complexity, concentration, balance, and minerality. Seats are available for $45 a person and only a limited number are available. Reserve yours today! Joining us from the winery will be special guest, Stacey Pytlewski. Growing up in the Bay Area in close proximity to wine country grew a natural love of the wine industry in Stacey. After college, she returned to northern California where she has been passionately selling wine for some of Napa Valley’s finest producers for over 10 years. 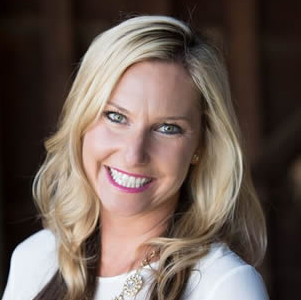 As the Director of Sales for Coquerel Wines, she oversees all Consumer and National sales. When she is not on the road for Coquerel, she is an avid runner and horse enthusiast.